Milk production in the United States may appear to be slowing a bit but there are no worries of any shortage. December milk output was in fact up for the 48th consecutive month and totaled 17.0 billion pounds in the top 23 states, according to preliminary Agriculture Department data, up 1.2 percent from December 2016. The 50-state total, at 18.0 billion pounds, was up 1.1 percent. USDA revisions lowered the original November 23-state estimate by 24 million pounds, now put at 16.2 billion pounds, up just 1.0 percent. December milk cow numbers totaled 8.74 million head in the 23 states, up 3,000 from November and 54,000 more than a year ago. The 50-state total, at 9.4 million head, was up 1,000 from November and 47,000 above a year ago. Output per cow averaged 1,943 pounds in the 23 states, up 11 pounds. The data, pending December revisions, pegs 2017 milk output for the 50 states at 215.43 billion pounds up almost 3 billion pounds or 1.4 percent from 2016. Cow numbers were up 64,000 and output per cow was up 164 pounds from 2016. California’s December milk output was down just 0.3 percent from 2016, thanks to a 10 pound increase per cow partially offsetting a drop of 14,000 cows however that was the 12th consecutive month the Golden State has trailed its previous year output. Wisconsin was up 1.0 percent, on a 25 pound gain per cow offsetting a loss of 3,000 head. Checking other states in the top ranking producers; New York dropped 2.2 percent on a 60-pound drop per cow, though cow numbers were up 5,000 head. Idaho was off 0.2 percent on a 5 pound drop per cow. Cow numbers were unchanged. Pennsylvania was up 0.5 percent on a 10 pound gain per cow. Cow numbers were unchanged. Minnesota was up 1.1 percent, on a 40 pound gain per cow offsetting a 5,000 cow loss. Elsewhere, Michigan was up 2.5 percent on a 40 pound gain per cow and 3,000 more cows. New Mexico was up 3.1 percent on 7,000 more cows and a 20 pound gain per cow. Texas was up a tank busting 8.1 percent, thanks to 25,000 more cows and an impressive 55 pound gain per cow. Washington State was down 1.1 percent on a 15 pound loss per cow and 1,000 fewer cows milked. A footnote on California’s lagging milk output; as I reported last week, Western United Dairymen (WUD) and California Dairy Campaign have petitioned the California Department of Food and Agriculture for an emergency hearing to consider increases to Class 1, 2, 3, 4a and 4b milk prices for 12 months. The request comes even as the State awaits the USDA’s Final Decision regarding a possible Federal Milk Market order in the nation’s top milk producer. Meanwhile, “The weight of the European Union’s milk output remains bearish,” warns HighGround Dairy (HGD). “November 2017 milk production data showed the EU rise 6.1 percent year-over-year. Year-to-date productivity has reached up 1.8 percent over prior year, an additional 2.5 million metric tons so far this year (30-day basis). Butter, cheese and skim milk powder production was also impressive during November though the butter/SMP stream remains below prior year January-November, according to HGD. U.S. dairy cow culling was up in December but down from a year ago. The Agriculture Department’s latest Livestock Slaughter report shows an estimated 247,300 head were slaughtered under federal inspection, up 3,600 head from November but 5,700 head below December 2016. Culling in 2017 totaled 2.99 million head, up 102,700 head or 3.6 percent from a year ago. The Agriculture Department’s latest Cold Storage report shows December 31 butter stocks at 169.1 million pounds, up 9.8 million pounds or 6.2 percent from November and 3.1 million or 1.9 percent above December 2016. American type cheese, at 746.8 million pounds, was up 13.5 million pounds or 2 percent from November and 20.4 million or 3 percent above a year ago. The other cheese category totaled 507.3 million pounds, up 1 percent from November and 13 percent above a year ago. The total cheese inventory stood at 1.28 billion pounds, up 22 million pounds or 2 percent from November and 82.3 million pounds or 7 percent above a year ago. As it always does, USDA’s monthly Livestock, Dairy, and Poultry Outlook, issued January 19, echoed dairy projections contained in the January 12 World Agricultural Supply and Demand Estimates report. It also reported that domestic dairy demand has been somewhat weak throughout 2017. Domestic commercial disappearance in November was lower than November 2016 on both the milk-fat and skim-solids bases by 0.9 percent and 2.7 percent, respectively. January-through November domestic commercial disappearance was 193.0 billion pounds (0.5 percent higher than last year) on a milk-fat basis and 163.1 billion pounds (0.3 percent below last year) on a skim-solids basis. The size of the milking herd was 9.397 million head in November, unchanged from October and an increase of 0.6 percent from November 2016. The number of milk cows in the U.S. has fallen slightly since peaking at 9.404 million head in August 2017, according to the Outlook. The Outlook predicts that the herd size will peak at 9.42 million head during the third and fourth quarters of 2018, up from 9.397 million in November 2017, which is the latest available data. But, the January 19 Dairy and Food Market Analyst newsletter disagrees. It argues that “Cow numbers have likely already hit their peak and are now in decline. We hear anecdotes of farmers selling cattle well below cost. And with a challenging financial year ahead, banks are reluctant to lend toward capital projects. We have heard of several projects that are now on hold. USDA is forecasting milk production to increase by 1.5 percent year over year in 2018. We are predicting a 1.1 percent or less annual gain in supply,” the Analyst says. Switching to feed prices, the Outlook’s 2017/18 price forecast for corn was $2.95-$3.55 per pound, 5 cents higher than last month’s forecast at the midpoint of the range. The soybean meal price forecast is $295-$335 per short ton, unchanged from last month’s forecast. The alfalfa hay price in November was $148 per short ton, $4 less than October but $18 more than November 2016. Chicago Mercant Exchange cash cheese prices headed lower again as traders absorbed the neutral to bearish Milk Production and Cold Storage reports. Block Cheddar, after jumping 11 cents last week, closed Friday at $1.4725 per pound, down 9 1/4-cents on the week and 21 1/2-cents below a year ago. The barrels finished at $1.32, down 2 1/2-cents, 12 3/4-cents below a year ago, and 15 1/4-cents below the blocks. Nine cars of block were sold on the week at the CME and 20 of barrel. 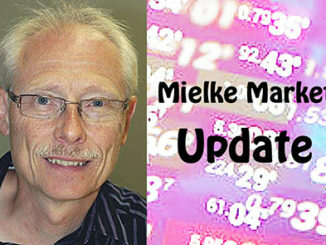 Central cheese plant managers are experiencing seasonal slowdowns, according to Dairy Market News, and taking time to make updates and repairs while others continue seven day workweeks and plan to for the foreseeable future. Some discounted spot milk changed hands and a number of cheese producers reported that offers have yet to decrease. Class III spot milk ranged from $3 under to $1 over Class. Barrel processors are “facing a stark disadvantage right now regarding market prices,” and continue to report fairly slow orders, DMN reports. Readily available milk in the West is stimulating more cheese production. Cheese supplies remain substantial despite processors’ efforts to keep inventories in check. Some contacts suggest that domestic retail sales for Cheddar are solid. The approaching Super Bowl interest for mozzarella is helping support the market. However, international cheese inquiries are slower for some sellers, while others report strong demand partly due to the recent drop in prices. Cash butter closed at $2.13 per pound, a penny higher on the week but 9 cents below a year ago, with 12 cars exchanging hands on the week. A snowstorm early in the week saw Central butter plants in affected areas down on employees and forced to reduce output. Hauling delays and trucking obstacles were also reported. There are expectations of available cream supplies to last through February. Unsalted butter demand is healthy and some producers report limited supplies. Salted supplies are building for spring. Butter markets continue to wind slowly downward but many contacts are not overly concerned. Western butter makers say the market tone is “quiet, reined in by the trammels of seasonally slower consumer baking.” Butter output is active amidst abundant supplies of cream and manufacturers are running churns near capacity. Cash Grade A nonfat dry milk ended the week at 71 cents per pound, up a quarter- cent on the week but 23 3/4-cents below a year ago, with 13 cars trading hands on the week. The CME also announced the launch of a new dry whey spot call to be listed sometime in Second Quarter 2018. Details are forthcoming. 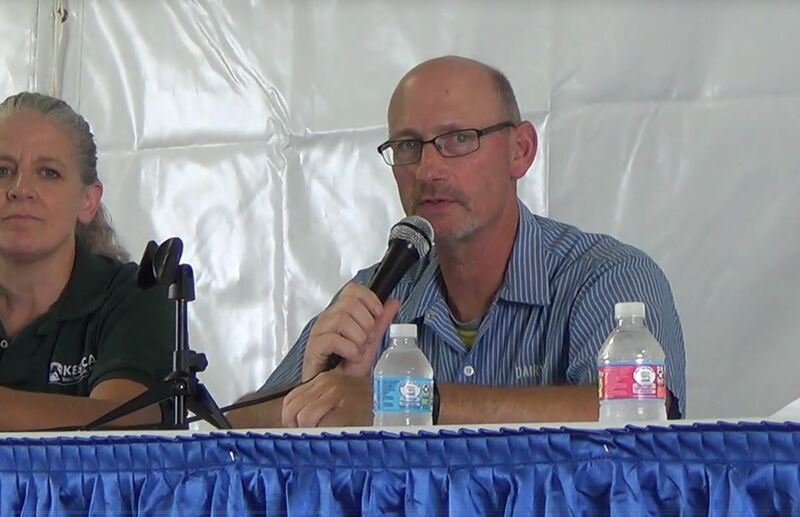 Indiana dairy farmer and CEO of Select Milk Producers, Mike McCloskey, warned of the loss of a very important tax law for farmers. He wrote; “A piece of the new tax law, known as Section 199A, is the most important tax reform for the farming community in a generation. Unfortunately, Sec.199A has become needlessly controversial among the legislators who wrote and approved it, and among some agriculture companies who purchase farmers’ crops but are not organized as cooperatives. If a farmer belongs to a cooperative, he receives a federal tax deduction equivalent to 20 percent of the farm’s gross sales to the coop. In most cases, the amount of the deduction will allow farmers to have a substantially lower tax rate than in any other previous federal farm tax law. Farmers who do not belong to a cooperative do not receive this tax advantage, but they still may receive an advantage through the deduction created for pass-through companies<” according to McCloskey. Cooperatives Working Together accepted 17 requests for export assistance the week of January 22 from member cooperatives to sell 2.69 million pounds of cheese and 39,683 pounds of butter to customers in Asia, the Middle East, North Africa and Oceania and has been contracted for delivery through April. CWT’s 2018 exports now stand at 5.334 million pounds of American-type cheeses and 729,730 pounds of butter (82 percent milkfat) to 10 countries on three continents. The threat to agriculture from environmental activists is perhaps no greater than that in the West, particularly California and Washington State. 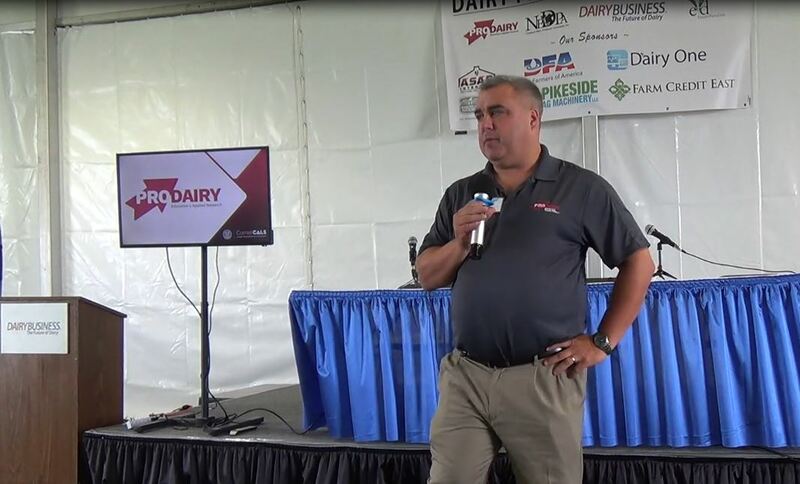 I talked about that in the January 22 “Dairy Radio Now” broadcast with fellow broadcaster, Dillon Honcoop, who is now spokesman for “Save Family Farming,” headquartered in Whatcom County Washington, about 100 miles north of Seattle. 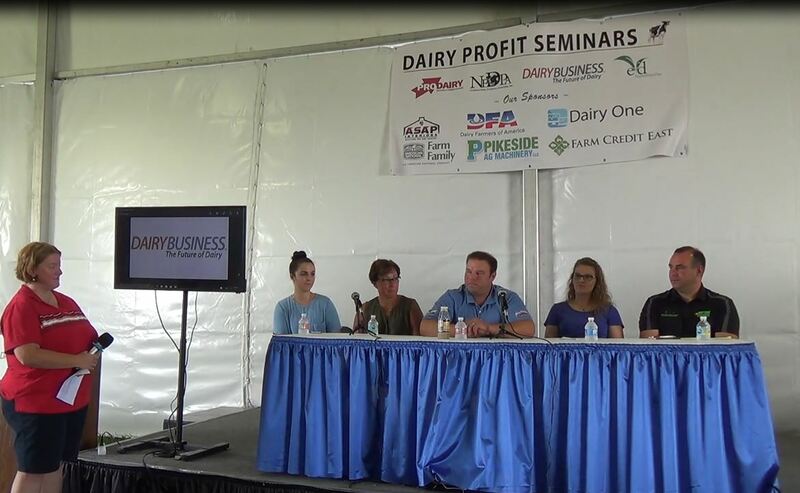 The organization is made up of dairy, berry, crop, and livestock farmers whose goal is, not to just defend farming practices, but to be proactive in the public relations battle with environmental and vegan activists to maintain consumer confidence. Honcoop, who grew up on a farm and worked in the media, said he soon realized how farmers “have not done an effective job in telling their own story” and wanted to “turn that around,” which he said is the vision of the group he now works for. He also cautioned; “As much as we want to win court battles, sometimes the lawyers will say we need to be quiet. We may win a case but lose in the court of public opinion and that can be far more damaging even than the legal loses.” For more information, log on to www.savefamilyfarming.org.